Fully coated with smooth nitrile, the Briers Water-Resistant Gardening Gloves B6429 are ideal for protecting your hands while gardening in wet weather conditions. 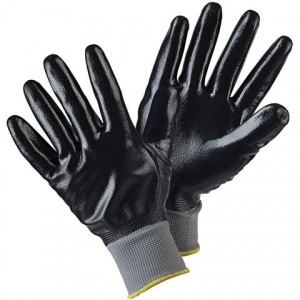 They are fully waterproof to keep hands dry during or after rain, and the one-piece seamless liner and elasticated cuff provides improved comfort and protection. 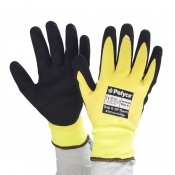 As gardening can often take place in unfavourable weather conditions, the B6429 gloves have been designed with a full nitrile coating to help keep out water. The waterproof nature of the gloves mean that you can garden when it is raining or following rainy conditions, and the gloves will also keep your hands dry while watering plants. 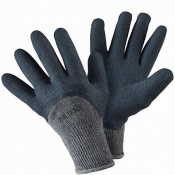 The Briers Water-Resistant Gardening Gloves are available in a single size that should fit most individuals. Please consult the table below for details.